No formal attire can be considered complete without a beautiful tie or ruche to go with it. So whether you choose your favorite colour or one to complement the bride’s dress, you’ll find the perfect finishing touch right here. 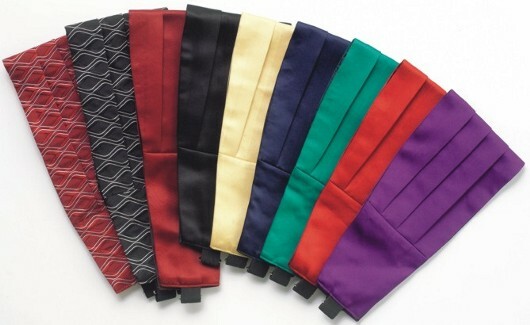 All colours available as Ruches, Ties or Hankies, for both gents and boys. 47 Clumber Drive, Gomersal, Cleckheaton, West Yorkshire, BD19 4RP. Charles Mobile Tailor & Formal Wear Hire With Dinner Suit Hire, Formal Morning Wear Hire, Kilt Hire, Wedding Suit Hire, Bespoke Tailor Covers covers the following towns: Abbots Langley, Ashwell, Aberford, Ackworth, Addingham, Allerton Bywater, Almondbury, Baildon, Barwick-in-Elmet, Batley, Bingley, Bingley, Birkenshaw, Boston Spa, Bradford, Bramham, Brighouse, Burley in Wharfedale, Castleford, Cleckheaton, Collingham, Cottingley, Denby Dale, Dewsbury, Drighlington, Elland, Featherstone, Garforth, Garforth, Guiseley, Halifax, Haworth, Hebden Bridge, Heckmondwike, Hemsworth, Holmfirth, Horbury, Horsforth, Huddersfield, Ilkley, Keighley, Kippax, Kirkburton, Kirkstall, Knottingley and Ferrybridge, Leeds, Liversedge, Lofthouse, Marsden, Meltham, Menston, Methley, Mirfield, Morley, Normanton, Oakworth, Ossett, Otley, Oxenhope, Pontefract, Pudsey, Queensbury, Rawdon, Ripponden, Roberttown, Rothwell, Saltaire, Shipley, Silsden, Sowerby Bridge, Stanley, Swillington, Thornton, Todmorden, Wakefield, Wetherby, Yeadon.